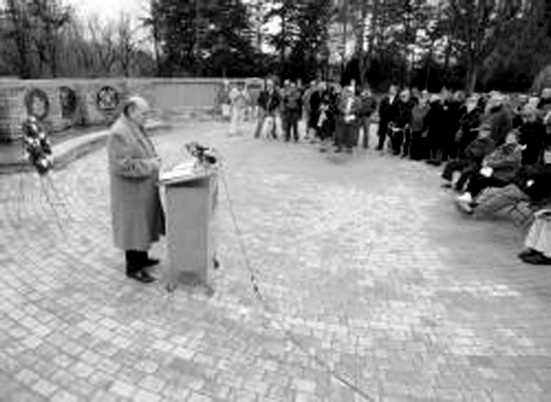 DEDICATION CEREMONY - Vietnam veteran Steve Banko III offers remarks on Dec. 7 during a dedication ceremony of the new Amherst Veterans Memorial at Amherst State Park on Mill Street near Sheridan Drive. 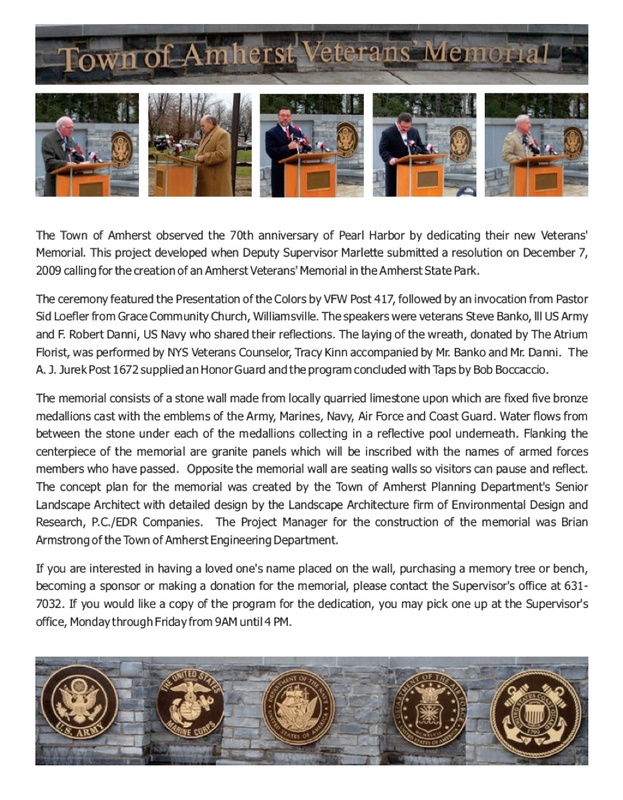 The event, held on the 70th anniversary of the Japanese attack on Pearl Harbor, featured a wreath-laying and presentation by the A.J. 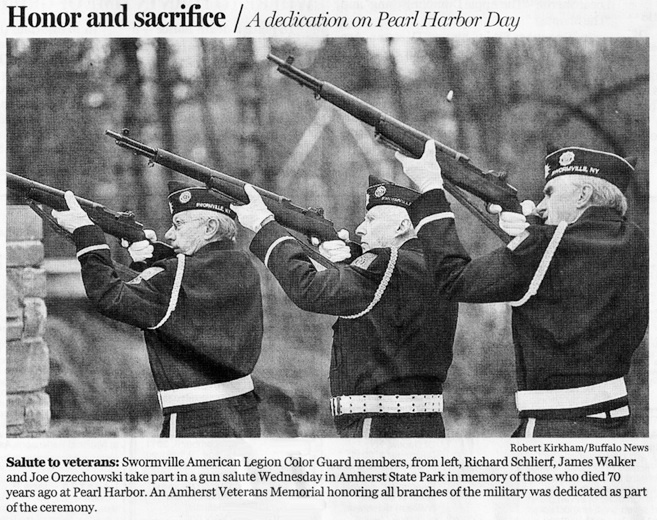 Jurek Post 1672 Honor Guard.